Pre-packaged, color-matched, specification grade masonry mortars for repointing and rebuilding of stone and masonry buildings and structures of all types and ages; Natural Cement, Lime Putty and Natural Hydraulic Lime binders. SPEC-JOINT 46 is a series of pre-colored, prepackaged, lime and cement-lime mortars for use in new construction and restoration. Type L Lime mortar is formulated to match traditional historic mortars, and cement-lime mortars are formulated in accordance with ASTM C-270 specifications to provide consistent, reliable results in both performance and appearance. 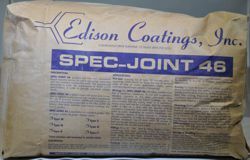 SPEC-JOINT 46 is simply mixed with water prior to use, and is applied in accordance with Standard Procedures for use of masonry mortar. 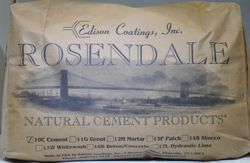 Natural cement was the binder of choice in North America for large scale masonry and concrete construction during the 19th and early 20th century. Now this authentic technology is back in production and is available from Edison Coatings, Inc.
All can be customized for particular projects. 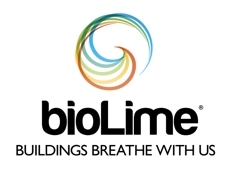 BioLime® Natural Hydraulic Limes (NHL) are designed for use in mortars and plasters for historical building restoration, quality building/construction and green building. Available in 4 grades: NHL 2, NHL 3.5 Buff, NHL 3.5 White, NHL 5 Grey; Mortar and Render mixes include both standard and custom-matched BioMix 20, BioMix 35 and BioMix 50, respectively. 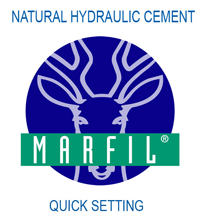 MARFIL® Natural Cement is a quick-setting hydraulic cement designed for use in mortars, concretes and plasters for historical building restoration, quality building/construction and green building. 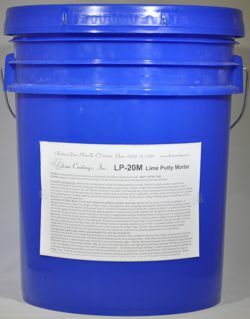 LP20 Lime Putty products are designed for use in mortars and plasters for historical building restoration. High Calcium Lime Putty is used to achieve exceptional workability for fine interior plaster work. Dolomitic Lime Putty provides higher early water resistance, faster strength development and lower shrinkage for exterior and interior applications. ICE MINUS 9 is a reactive proprietary additive that imparts superior freeze-thaw and salt-scaling resistance to mortars, plasters and concretes. In addition, it improves bond strength and flexibility while reducing shrinkage. Provided in ready-to-use concentration, it is simply used in place of mixing water to produce workable mixtures. Select one of our various binders to try for an upcoming project. 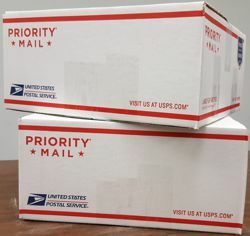 These NEW paks, provided in economical packaging with FREE SHIPPING, will give you the opportunity to see how your selected binder will work and look on the job site. LIMIT 1 ITEM PER QUALIFIED CUSTOMER. QUALIFIED CUSTOMERS ARE POTENTIAL COMMERCIAL USERS OF LARGER QUANTITIES OF THESE BINDERS.